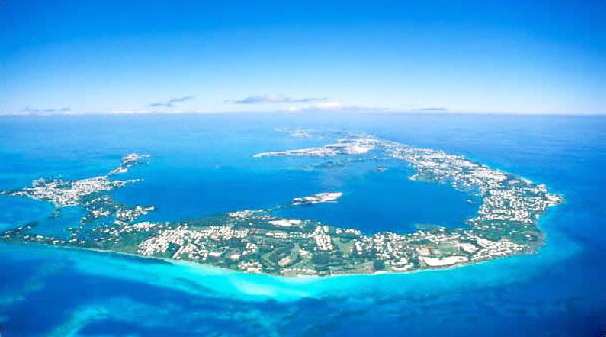 Bermuda is a self-governing British overseas territory. It is one of the last remains of the once vast British colonial empire in North America. It is without a doubt a unique destination – golf or not. The “Jewel of the Atlantic”. With incomparable sub-tropical weather, pink sand beaches, a breadth of historic sites, warm, friendly people, fabulous golf, and much closer than you think. It's less than 2 hours away from most eastern US airports. Bermuda’s impeccable location in the Atlantic—not the Caribbean—keeps the island warmed by the Gulf Stream and the sun’s rays, but free of the tropics’ relentless heat. The climate rarely sees extremes of either hot or cold. The hottest part of the year is May through mid-October, when temperatures hover between 75 and 85 degrees. During the winter months, temperatures average a balmy 70 degrees. This tiny island claims to have more golf courses per square mile than any place on the planet. The courses vary substantially in level of difficulty and length, from a par-3 executive course to magnificant championship level courses. Each one of them painted on a canvass of breathtaking beauty. If golf in Bermuda is in your vacation plans, be sure to toss a camera in your golf bag.